The weather was so nice this morning that I “upgraded” my plans. Winter is coming, some of the highest cols were closed this weekend, but I decided to target the highest climb I could think of near home. Flaine is a nearby ski station – our favourite local station. 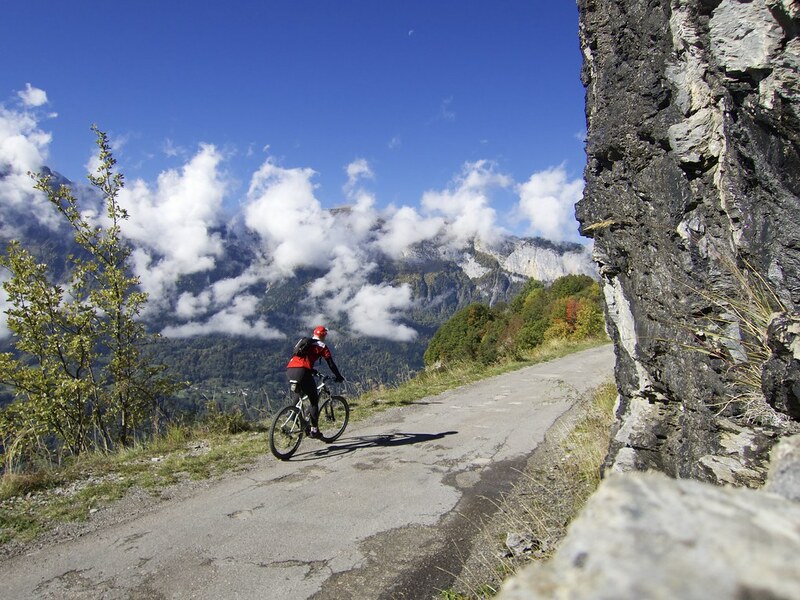 It’s also a great 21 kilometre road bike climb to Col de Pierre Carrée – the highest road near me open year-round – details here. 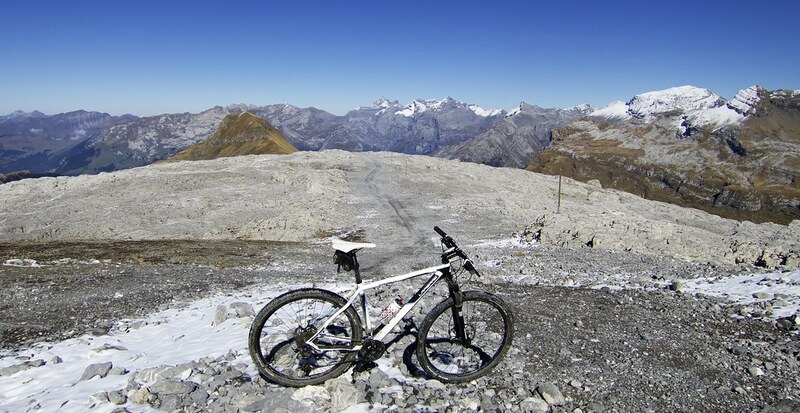 But it’s also “possible” to go much higher on a mountain bike: to the top of the ski slopes. Today’s goal was the top of the main cable car at 2480 metres. 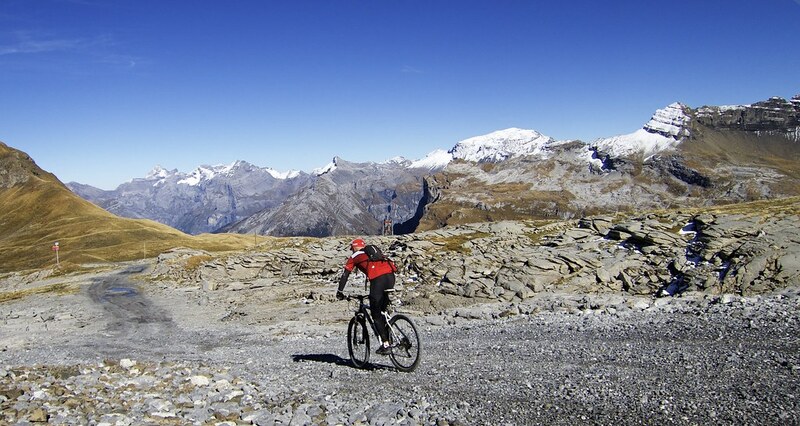 This is a very, very difficult mountain bike climb – I pushed a lot – but quiet and very beautiful. And the views at the very top are worth every drop of sweat. 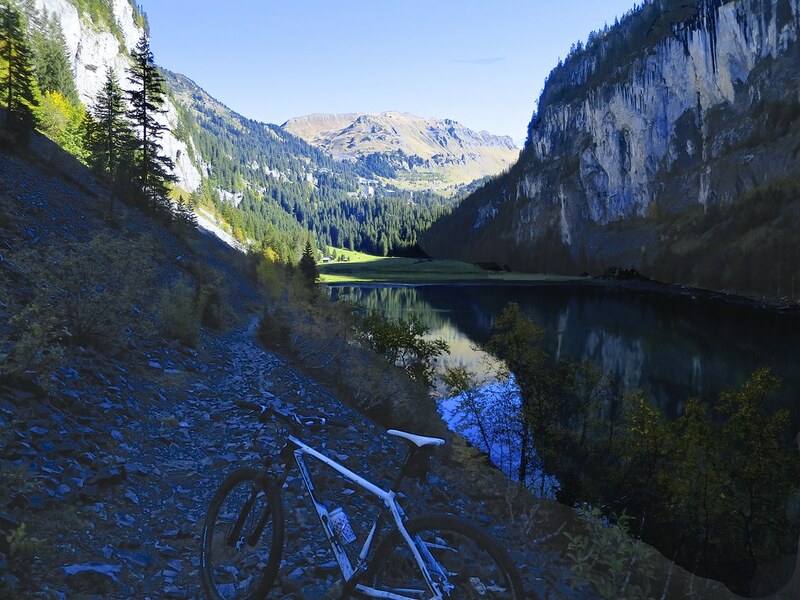 I started at about 1100 metres in Les Carroz, avoiding the road and taking a trail through some cliff/hilly/woods that passed two Cols (Col de la Frête -1317m, and Col du Cou – 1501m) – see map for all Cols. Note, once within a kilometre of Col de la Frête, it is an extremely steep and rough trail until Col du Cou. 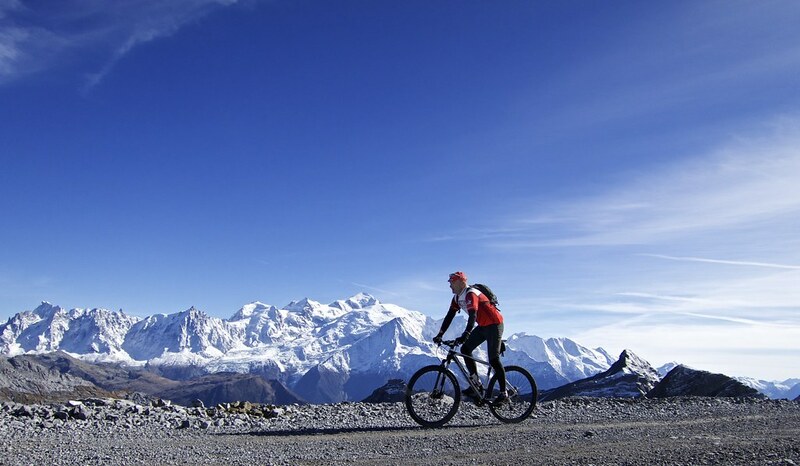 Even the strongest cyclist will be doing some pushing. 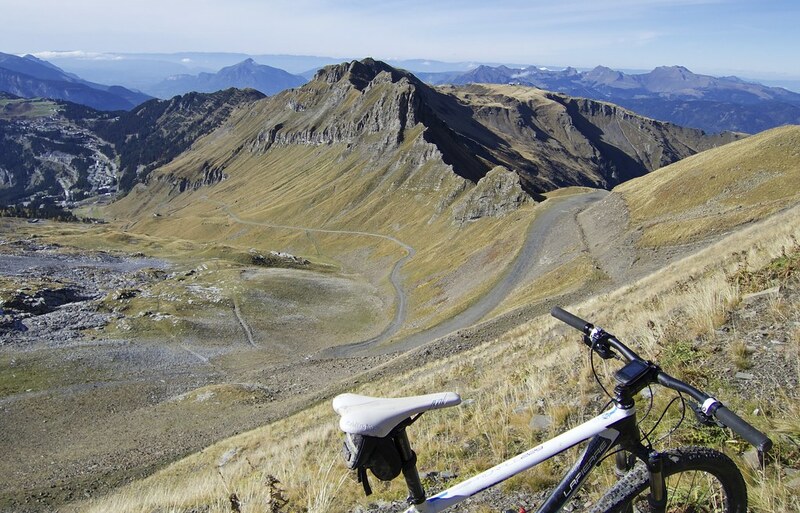 From Col du Cou, I descended to Lac de Flaine. I’ve done this loop once before and cycled most of the way. But today I did less well. But even pushing a bike this is an enjoyable place to be. 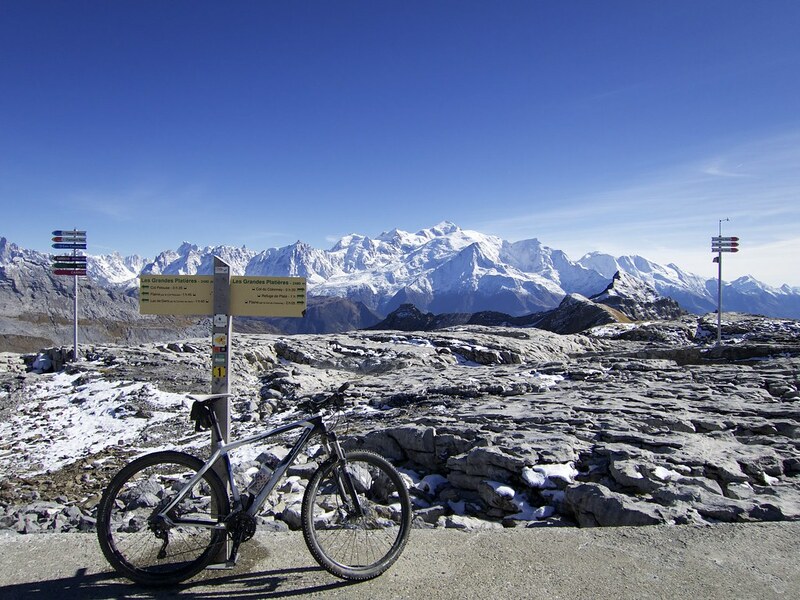 For another slightly crazy mountain bike ride to some high Flaine Cols in another section of the resort see here. The “road” passes two more cols – Col Pelouse (2270m), and Col de Paté (2356m) – which as a col hunter made me very happy. All the Cols. 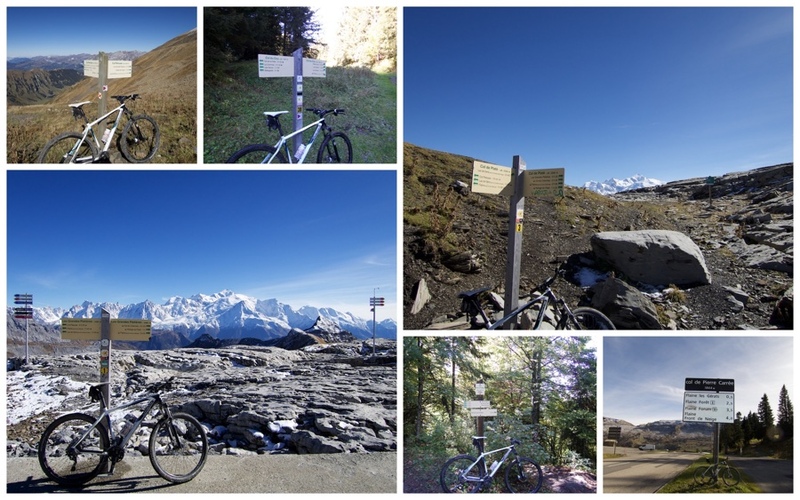 Clockwise from top left: Col Pelouse (2270m), Col du Cou (1501m), Col de Platé (2356m), Col de Pierre Carrée (1844m), Col de la Frête (1317m), and Les Grandes Platières (2480m). Again, this loop is hard work. But ultra quiet, very scenic, and truly spectacular at the summit. Wow. Looks like another awesome loop Will. 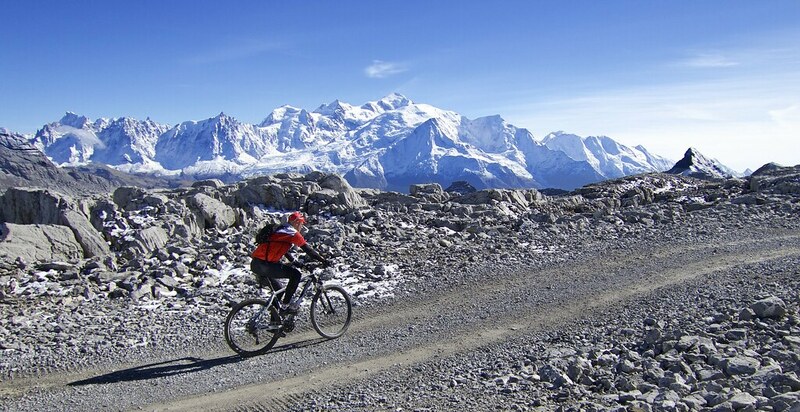 Some of it maybe a bit too demanding for the ‘Gravel Grinder’ though by the sound of it. Thx for another great read.